En nuestro análisis del Xiaomi Redmi 4A nos ha quedado claro que se trata de un modelo gama básica que, si bien carece de muchas prestaciones que ofrecen los terminales de gama media, cuenta con las funcionalidades más elementales para satisfacer las necesidades del usuario común, quien busca un móvil barato para comunicarse, consumir multimedia y navegar por la red, entre otras tareas cotidianas. La idea de Xiaomi a la hora de crear este móvil es ofrecer el mejor producto posible al precio más bajo posible. En los países donde Xiaomi vende directamente esto tiene mucho más sentido que fuera, ya que las tasas de importación y aduanas hace más interesante comprar modelos como el Redmi 3 o 3S que no obstante cuestan un 30% más aproximadamente. 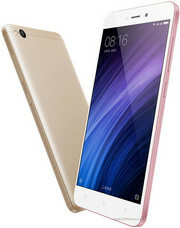 Las características del Xiaomi Redmi 4A siguen con una cámara trasera de 13 megapíxeles y una frontal de 5 megapíxeles que prometen unos excelentes resultados siempre dentro de la gama deprecios en la que se mueve el terminal. Por último destacamos la inclusión de LTE, Wi-Fi 802.11 b/g/n y Bluetooth 4.1. Todo ello por un precio oficial de venta en el mercado chino de 499 yuanes que se traducen en 66 euros. The Redmi 4A is ageing, and yet it remains a very good budget phone and a decent all-rounder under £100. Though it lacks more modern aspects such as a fingerprint scanner, metal build and 18:9 display, it's almost impossible to argue at this price. The 4A has since been succeeded by the 5A, but there's really no difference in core specification, making this an even better deal if you can find it at a rock-bottom price. The Global model is recommended, provided you're happy to get along with MIUI 8.5.
Review of the Xiaomi Redmi 4A with real images and video. See where you can grab it now in flash sales! As you can see in the images and in the video presentation, finally the Xiaomi Redmi 4A is a very good mobile for it’s money! For me, coming from the Xiaomi Mi5S plus, at some moments looked a little bit slow, but I guess it will be very unfair to compare the Snapdragon 425 with the Snapdragon 821! So the Xiaomi Redmi 4A is a very good mobile. Also if you think that you can grab it now at the flash sales of Banggood for only 97.99$, that’s less from 100$, this is a really bargain! So go over there while they last, but don’t wait to much, as the available pieces get less and less! So, what can a $100 smartphone do for you? The Xiaomi Redmi 4a is as cheap as they get but, you know it's a thin line between low-cost and plain poor. With an LTE-capable Snapdragon chipset and a pretty decent 5" 720p screen, the Redmi 4a is on the right side of that line. Performance-wise however, it crosses it more than once. The Xiaomi Redmi 4A is priced at Rs 5,999. At this price point, you are getting a lot of value for your money. The only challenge, rather, an irritant, with Xiaomi phones is their online-only open sale model where phones get sold out in seconds. It is quite annoying that Xiaomi hasn’t yet made the process of buying a smartphone online any easier. That seems to be a major roadblock and could easily put off many potential buyers. Xiaomi should understand that this isn’t 2013 and that the competition has evolved. Xiaomi has got a winner here with the Redmi 4A. There is no room for complaints, and its highly compelling price tag makes it hard to ignore this smartphone in the entry-level price segment. The only thing that may affect someone's decision of getting this device would be MIUI, but that alone doesn't seem like a proper reason to ignore an otherwise amazing smartphone. There’s no better choice available in the same price range. Specifications offered by the Redmi 4A are unmatchable and the user experience was also good. If you have a much higher budget, go for a different device, however if 6K is your bar than this is the best choice available in the market right now. At a price of Rs 5,999, the Xiaomi Redmi 4A is an exceptionally competent smartphone. With specifications such as 13MP rear camera, a 3,120mAh battery and VoLTE support, it offers a lot of features. It'll surely give tough competition to peers such as Xolo Era 2X and Coolpad Mega 2.5D, which are priced in the same bracket. If you are looking for an affordable smartphone, Xiaomi Redmi 4A is definitely one of those entry level Android smartphones to buy. It has good design and build, decent display, a customizable software and decent performance for the price segment and a good camera. Price at Rs 5999, Xiaomi Redmi 4A is definitely worth the money. Boasting of an all-metal body, the Redmi 3S -- at Rs 6,999 -- offers all the bells and whistles that someone on a tight budget would want. You're better off buying the Redmi 3S -- provided you can get a hold of it -- because for Rs 1,000 more you're getting a premium body, a better screen, better hardware and a much bigger battery. Also, the Redmi 3S' rear camera comes with PDAF: it's not a deal-breaker but when you're in the budget segment, every rupee counts and a potentially faster camera would mean a great deal for many. As for the Redmi 4A, well, it's not a bad phone. It just doesn't make sense the way the Redmi 1S did once upon a time. At a price tag of Rs. 5,999, the Xiaomi Redmi 4A is a good deal. It has all the required sensors, including an infrared sensor for remote control. The camera is decent for the price, and the build quality is good even though it has a polycarbonate body. 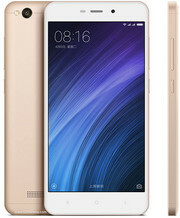 I personally like the polycarbonate body with a smooth matte finish on the Redmi 4A compared to Redmi 3s with a metal body. The Redmi 4A has the potential to stir up (in fact, going by the first sales figures, it has already stirred up) what we call the “ultra-budget” segment in the smartphone market. In fact, we think it can even give tough competition to even devices that come with higher price tags. No, there is nothing that really jumps out of the device, as exceptional but then there are no deal breakers either, and at this price that makes the Redmi 4A a very sweet deal. The perfect solution for those wanting a good smartphone but facing budget blues. The new Redmi 4A definitely raises the bar for smartphones at this price level, and we expect it to be very popular. At Rs. 5,999, the Redmi 4A offers a lot of features, especially VoLTE support. Camera performance is decent, and the polycarbonate body, 3120mAh battery, and software are all satisfactory. The Redmi 4A is powerful but not for gaming user, Redmi 3S is a much better option. There is a decent price difference among these two handsets. But still Redmi 4A is a very good buy, an awesomely awesome handset for non-gamers and is the best 4G VoLTE supported handset loaded with high end feature with an affordable price tag. The Xiaomi Redmi 4A is a decent performer for the entry segment and it makes a good case for itself. However, its camera is disappointing and it has only 16GB of storage. As long as you're fine with these compromises, this is a phone worth buying. The Redmi 4A comes with the new MIUI 8 which is based on Android 6.0.1 Marshmallow. The MIUI 8 features a variety of features including dual apps feature that lets you can take advantage of using WhatsApp with two accounts. Furthermore, it has an Indic support for 13 local languages and has a customized SMS app. There’s more stuff coming soon to the MIUI 8. It will come with a smart SMS feature that converts IRCTC SMS into a full-fledged ticket-like format. At ₹5,999 ($92), the Redmi 4A is a great budget smartphone that would sell quite well. It’s not an upgrade to the Redmi 3s which is a better option between the two – although the latter is also ₹1,000 expensive. And that’s why, with its price, it will be an attractive option for many. It’s an affordable package that offers decent smartphone experience without too many compromises. Xiaomi Redmi 4A First Impressions: Return of the Budget King? To wrap it up, the Xiaomi Redmi 4A has a lot to offer and can be considered one of the best option, by looking at its sheer specs sheet. The smartphone comes loaded with some good processor, battery and is surely a good-looking device and we hope it retain this impression in our detailed review as well. The Xiaomi Redmi 4A is really a super little phone and the best budget smartphone I’ve tested out in months. Xiaomi could definitely cement itself in the lower end market with offerings like these and knock some of the other Chinese manufacturers out of the budget phone market. Colour me impressed. Xiaomi Redmi 4a is LTE enabled device with 16GB ROM and 2GB RAM. Cameras are 13MP and 5MP while quad-core 1.4GHz processor is enabled in it. Those users who are looking for a perfect entertainment device with all necessary features must go for Xiaomi Redmi 4a. It has very affordable price range and giving the best features in its price range. Brauchbares Smartphone für 67 Euro? 75% Xiaomi Redmi 4A po czterech miesiącach użytkowania – czy warto? Xiaomi Redmi 4A - ulubieniec tłumu. Czy warto go kupić? 77.8%: Esta evaluación no es convincente. Debe ser considerado que difícilmente existen portátiles que reciben una evaluación abajo de 60%. Esta portátil es evaluada abajo del promedio, esta realmente no es una recomendación para la compra.